Now a division of the Colling Group, World Trans buses are used for a variety of purposes, a primary one being the use of school buses. These mid-size and large school transit buses are equipped with many different electrical components that normal passenger vans and cars do not have. For example, a school bus has special lighting, such as flashing lights, and chair lifts. Collins World Trans buses can also be used as small passenger buses, and some are ADA-compliant, equipped with components and equipment to aid in the transport of the disabled. A lot of this electrical power that is needed is required when the vehicle is sitting at idle. As passengers exit and enter the vehicle, lights and other electrical components are heavily used. 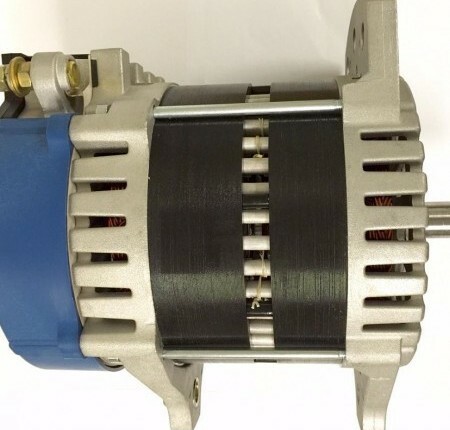 The most common stock World Trans bus alternator is a high-output, 145-Ampere alternator, which works well for this type of transit bus. 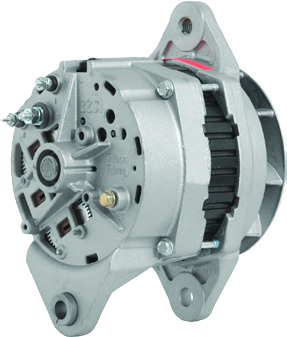 However, this type of alternator is high output, at the expense of being high RPM. Having an engine rev at high RPM at idle is damaging for several reasons. First of all, it puts a lot of unnecessary wear and tear on the engine, often leading to extra repair and maintenance. This also puts a strain on the battery and the alternator itself. A high output, high RPM alternator also typically necessitates the need for extra components to be installed in the vehicle. This can include high idle devices, load shedding devices, and multiple battery packs. Eco-Tech’s revolutionary use of permanent magnets in their heavy duty, high output alternators allows transit bus owners to experience the same power benefits, but at a lower RPM speed. Not only is this better for the engine and its components, it eliminates the need to install extra devices. Perhaps the biggest benefit to the installation of Eco-Tech alternators is the money saved on fuel per year. An Eco-Tech alternator experiences 52 percent less of a fuel penalty, and offers 50 percent less engine drag. Not only does this save thousands of dollars per year in fuel, it is also much more friendly for the environment. With all of the benefits of switching to Eco-Tech, it is the most economical, cost friendly, and environmentally friendly choice.